Summary: Self-centered, self-righteous, and self-serving — that pretty much sums up the sinner. James and John carried that attitude to Jesus as they asked to be seated on either side of Him as He entered glory. Jesus, however, came to serve. He set aside His rightful place at His Father’s right hand in order to become the prophesied Suffering Servant. No one deserves a place at His side, neither is it earned. Instead, it’s a gift granted to believers in His saving work. Text: [And they were on the road, going up to Jerusalem, and Jesus was walking ahead of them. And they were amazed, and those who followed were afraid. Audio: Click to hear the MP3 of Served by the Lord. 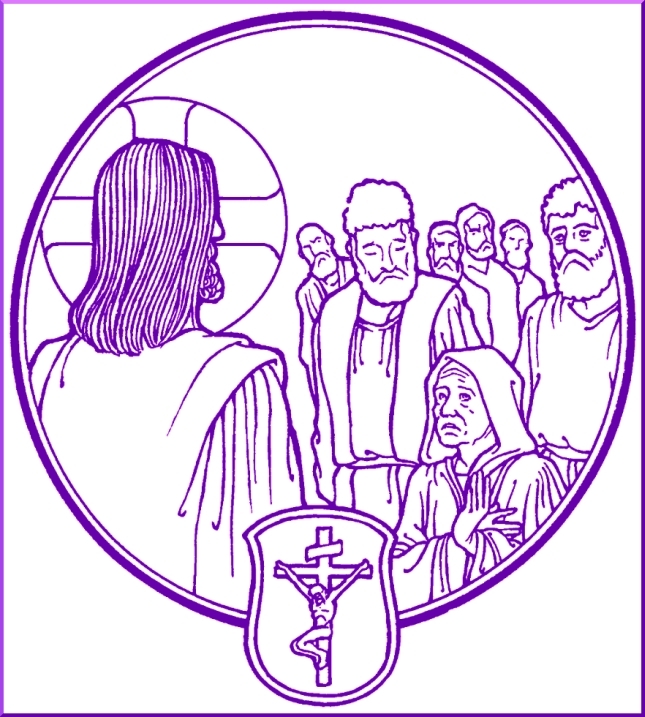 Illustration: Graphic from Art of the Church Year by Ed Riojas available through Higher Things Store.